We are pleased to announce that Stampin' Pastels (item 120962) and the Stampin' Pastels New Color Kit (item 120963) are now available. This was just posted on the Stampin' Up! website and wanted to be sure you all got the news right away. The Stampin' Pastels are our beautiful chalks that are used in so many techniques. I'm definitely going to be ordering the new color kit myself to update my pastels. All Stampin' Up! products can be ordered on-line thru my website by clicking HERE then clicking on shop now or by contacting me directly. I started playing with different ideas for the bat. I used the Curly Label Punch, then shadow it using our new Bat Punch using it as a shadow. Then added "4" more bats in. Was trying to come up with a saying/sentiment and all of a sudden it hit me ... "Batty 4 You" was perfect. There are 4 bats to accent the card and 4 bats for each shadow. Used Stampin' Up! Old Olive, Melon Mambo and Basic Gray Card Stock. Batty 4 You was created with our label maker (thank you Hal). Just a fun card to show someone you care. Stampin' Up! just announced a brand new promotion and it is BIG NEWS !!! From July 27th (that's today) thru August 31st, 2010 hostesses can earn an extra $25 in free merchandise when they host a workshop totaling $350 or more. This is a limited time opportunity and DOES NOT apply to on-line orders. This is an awesome time for this promotion too as our new catalog just premiered. 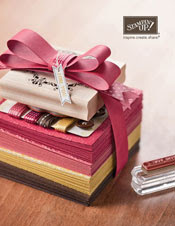 There are so many new stamp sets, Designer Series Papers, and other products to chose from. Contact me directly if you are interested in this promotion. Again, it does NOT apply to on-line order, you need to contact me. This is an official Stampin' Up! promotion that is being offered by all demonstrators. Did you know that with a $350 order, you automatically earn your choice of a level 1 or a level two hostess gift PLUS $40 in free merchandise. NOW WITH THIS GREAT PROMOTION instead of $40 in free merchandise, you will earn $65 in free merchandise. Isn't that fantastic!!! If you would like to read more about it, CLICK HERE to read the flyer (pdf format). NOTE: $350 is merchandise total before tax and shipping. First I would like to thank Angie Juda for her inspiration. She had a similar project on her blog last week. It was just so cute I had to try it too. This post-it note holder is a perfect stocking stuffer, small gift item, a thank-you, or just something nice to have in your purse or by the phone for notes. All items listed above are available for sale thru my Stampin' Up! Website, CLICK HERE, then click on Shop Now to purchase. Isn't the Poppy Parade card stock absolutely gorgeous!!! I love it and the ribbon is a perfect match for it too. Craft ink in Whisper White is perfect for stamping on darker colors. Craft ink can take up to an hour to dry, so don't handle it after stamping unless you are certain it has dried completely. I use the Grid Paper all the time and decided tonight that I should give you all a bit more information on it. There are 100 sheets in the package for $9.95. It is an oversized pad of lined grid paper to protect your stamping surface. It serves as scratch paper and ruler plus makes clean-up so easy. Includes a standard card dimension list and space for a writing a wish list. Grid is 10" x 16". Not only do I use them at my classes for each work surface, I use them myself when I am working on projects too. It is a must have item for me, and I highly recommend it. Cut Poppy Parade Card Stock at 3 3/8" x 8 1/2"
Score at 4 1/4" and fold crisply with a bone folder. Stamp image randomly over the complete piece of card stock using Whisper White Craft Ink. Set this aside. It will take approximately one hour to completely dry. Using the small Whisper White square, punch out 1 scallop circle. Now punch out the 1 3/8 circle in Poppy Parade. Using SNAIL adhesive, adhere them together. When you use the Uni-Ball Signo Gel Pen, hold the pen upright not tilted and do not apply a great deal of pressure to the point. The less pressure the better the flow of ink. Pen should be store point side down to keep the tip moist. Using the gel pen, make little stitch marks around the Poppy Red Circle. It will take a minute or two to dry. Using the Mat Pack and the Paper Piercer Tool, pierce a hole in the very center of the Poppy Parade Circle. Then gently push the jumbo brad thru and open the prongs on the back. When I pierced the paper, I twisted the pierce in a circular motion to make the hole a tad larger to accommodate the prongs on the tab. Now without putting pressure on the handle, position the folded part of the paper in the crimper. See how it is just at the points. Now squeeze the handle and crank thru. If the crimping barely shows, repeat this step. No need tho to do more than twice. Photo of the crimped end. I used a 1/2 pad of post-it notes that are 3" x 3". On the back place 3 strips of Sticky Strip. Remove film and center from the crimped lower edge to the lower edge of the cover. Photo of placement of the post-it note pad. I put about a 1" strip of adhesive (you could use sticky strip too) on the ribbon in the center. Then I place the back crimped side down onto the ribbon. This will help lock it into place and keep it stable. Bring the ribbon around to the front and tie a knot bow. 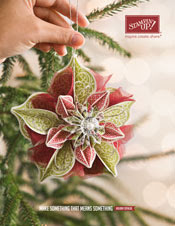 Using Stampin' Dimensionals, adhere the scallop circle piece to the front of the cover. Here's 3 that I made the last few days. The one on the bottom is Concord Crush. All the In Colors have this great matching ribbon. It is so soft and easy to tie but is not flimsy at all. Hope you will try making these too. Stampin' Up! supplies are available on-line 24/7 thru my website. CLICK HERE then click on shop now to place your order. You can also contact me directly by clicking on the E-Mail me in the blog header. I'm helping a friend create some Thank You Cards. The basic colors we wanted to use were gold, green, and white. I decided to play around with different stamp sets to see what I thought would look best. She wanted simple, but elegant. After you have looked thru the cards, post a comment letting us know which one you like best. Thank you for stopping by today. I appreciate all of you that follow my blog. Hope you will leave a comment too. Have you ever had one of those days that you just couldn't sleep? Well, it was one of those days for me. I had an important call to make early this morning (6 am our time), and had planned to get up at 5:30 am. Well at 3:30 am I was wide awake, so at 4 am I got up. I started going thru e-mails, blog surfing, and checking the Stampin' Up! website for information. A creative surge hit me and I was off on running on new projects. I even had to set the timer so I wouldn't forget to make my phone call ... LOL. Here's a sneak peek at two of the projects I am working on. They are NOT complete, but I am very pleased with the results so far. The idea for these wonderful post-it note holders came from Angie Juda's blog. My version is not complete yet, but will be soon and I will post a new photo. I used Concord Crush (new In-Color) for the card stock and ribbon then used Whisper White Craft Ink for the stamping. I thought they would make great gift items and am planning to make a few of them to give away. Do you believe in recycling? I sure do, but never would of thought of this. All the shapes you are seeing are a mosaic made from tiny pieces of leftover rubber from our stamp sets. I used double sided adhesive and stuck them to a clear mount block that I had tucked away. A wood bock would work too. I will post more details of how to created this using clear embossing powder. This idea came from SplitCoastStampers. The design you see is my "original" background paper I created the other day using a felt stamp pad (Original ink look). Hope you all have a wonderful day filled with creativity. If you need any Stampin' Up! supplies, please stop by my on-line website to make your purchases or contact me directly. CLICK HERE to start shopping, then click on shop now. Altho I made the card, the card design came from "Stamp and Scrap with Frenchie". 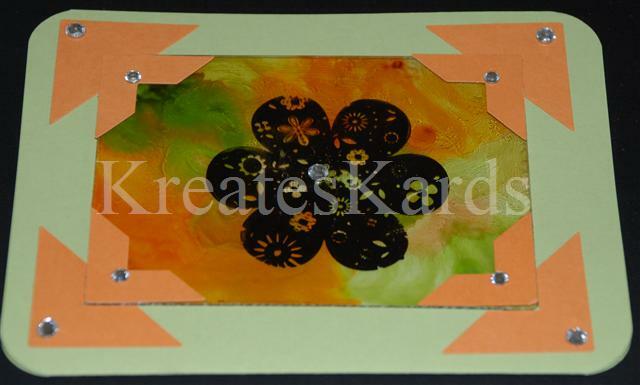 Check out her blog for a great video on how to create this card. The color inspiration is a request from Dawn Rose who asked to be WOW'd with Basic Gray, Melon Mambo, and Old Olive. This was the first time I've used Basic Gray. Above is the front of the card. It is a gate fold card that will fit in an A2 envelope. The flap is held in place with one of our buttons attached with a dimensional. On Frenchie's card, she used a belly band on one and a circle in the corner for another. All of them will work. This is the inside you see when you first open the card. This is the Secret Fold that opens the card even more. This is what the secret/hidden inside looks like. If you like this card, you should also like the Never Ending Card. You can find it HERE on my blog with directions. Ordering products is as easy as CLICKING HERE then click on shop now. By going thru my on-line website, you may order any time day or night. Also you may contact me directly to place your order. Stampin' Up! has great, quality products. This technique gets a "WOW" rating in my book. What do you think, do you agree? The video below (if you are reading this via e-mail, you need to come to the blog to view the video) shows step by step directions of how to create this technique. It is easy BUT drying time takes 24 hours. This is not a card you would make at the last minute. 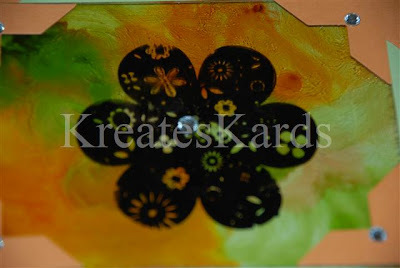 You could tho create some acrylic/acetate pieces and have them set aside for a last minute card. IMPORTANT NOTE: If you use too dark of ink refills, your design will not show up. The colors should be light to medium or very tiny amount of dark ink. I used Concord Crush and it overpowered the image I had stamped. Other: Any brand white glue that will dry clear. Hope you will try this technique, and if you need Stampin' Up! products please CLICK HERE to order them thru my website. Once you are on the website, then you click shop now. The other day on my blog I showed some photos of stamped images I had used to create my own designer series paper. In the process of stamping these images I used my own handmade ink stamp pad. Tonight I decided to create two tutorials to show you how you can create your own stamp pads too. The Stampin' Up! Classic Ink Refills are PERFECT for this project. They are available in so many colors and with combining them on a self made stamp pad, the color combinations are endless. I hope you enjoyed the videos and that you will find them helpful. Sentimental Journey Stamp Set, item #118513 wood OR item #120075 clear mount (used in both videos) - this set only available until the end of August. You may order these items on-line thru my Stampin' Up! website by clicking HERE and then click on Shop Now. Have you ever wondered how or why someone picked the job that they did? I often do and thought it would be fun to share with all of you how and why I got involved with Stampin' Up! two years ago. I remembered that a customer from another business I did had been a Stampin' Up! Demonstrator so I set out to find her. I found her on-line, sent her a short note, and asked her contact me. She called me right away and then brought over lots of things for me to try. Even tho I only was interested in the paper, she brought me stamps, ink, and so much more to try. My first order from her was just paper. My husband had just been laid off from work 2 weeks before, so I was really watching every penny. I started going thru the new catalog she had left me and found more and more products that looked interesting. I talked to my husband in great detail about the possibility of signing up as a demonstrator so that I could get the discount on my products that I wanted. We also agreed that I would have to sell things or earn the $ to buy the products I needed. So becoming a Demonstrator was win/win situation. In the beginning I was just going to do this as a hobby, never imagined doing it as a business. Plus I was just buying mostly paper, no stamps etc. I signed up in August 2008. I immediately let all my friends and family know that I was a Stampin' Up! Demonstrator and was amazed at how many scrapbookers and card makers there were. Soon I had a few customers and that helped me bring in some extra income each month too. Fast Forward 2 years: I'm now teaching classes/workshops each month ... this month alone I have 4 set up. I was recently promoted to supervisor and have my own team. I'm actively working with others to join my team too. I'm truly seeing an income each month from my business and that is so wonderful in these economic times. It helps to get us thru plus gives me some extra money to buy my craft items too. If you are looking for a way to earn extra money, share your passion of crafting with others, and to get your products from Stampin' Up! at a discount; joining Stampin' Up! is a great way to do this. If you currently have a demonstrator, by all means contact them. I would love to talk to any of you interested about joining my team or becoming one of my customers. I truly love what I do, and have so much to share. E-mail me at marydirector at cox dot net or by clicking the "e-mail me link" at the top of the screen." I am always looking for new ideas to pass on to all of you. I got experimenting with a baby wipe and classic ink refills from Stampin' Up! and was able to create my own ink stamp pad. I will post a tutorial later this week to show you how to create your own too, but in the meantime wanted to show you what I created. I actually made two different stamp pads using 3 colors each. The 2 photos above are close-ups of my stamped images. The photo of the top is a full designer page I created. In-Colors used: Concord Crush (item 119675), Peach Parfait (item #119673), Blushing Bride (item #119676), Pear Pizzazz (item#119674). You may order Stampin' Up! products from me 24/7 thru my Stampin' Up! website. Just CLICK HERE, then click on order now to get started. On Saturday, Marijo Swartz brought a card to my Stampin' Up! class that was so cute I added it to my blog on Saturday night. Today, I decided that I had to make one myself and also wanted to use the Embosslits called Beautiful Wings, item #118138. I did add in a bit of glitter glue to accent the butterflies. Any of the Teeny Tiny Wishes Stamp Set sentiments would work with this flower. This is a photo of the embosslits opened up with the cut and embossed butterflies to the side. It is fantastic that you can cut and emboss just by running thru the Big Shot one time. Stampin' Up! sells the Big Shot Die Cut Machine too. It is item #113439. When you use the Beautiful Wings Embosslits Die, be sure to run the die through the Big Shot so that the hinge is opposite the Big Shot handle. This will help protect the hinge. Also, make sure that you and your customers are using tab 1 when you use the multipurpose platform. Don't forget to share this information with your customers to prevent their dies from breaking. This is a close-up of the butterflies to show the embossing on them. You can leave them plain, add glitter, accent with ink on a dauber or highlight the edges using a dauber or sponge with classic ink of your choice. Hope this blog posting today will inspire you to create a card or work on a scrapbooking page. The new Stampin' Up! Idea Book and Catalog 2010-2011 premiered on July 1st and has been a major hit with my customers. There are so many new products to try. Place your order 24/7 on my Stampin' Up! website by CLICKING HERE then click on Shop Now. Isn't this a great card!!!!!! 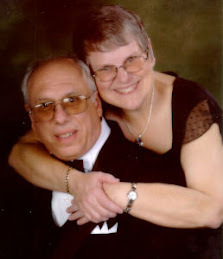 Thank you Marijo Swartz for letting me post it here on my blog. I had two classes today that I taught. It is always so much fun to get together and share information about Stampin' Up! products and also be able to teach new techniques. Marijo came to one of my classes today and brought this card to show me. I was so impressed with it, I asked if she minded if I took a photo and posted it on my blog. She agreed it would be fine with her. She used the Stampin' Up! Word Window Punch, item #119857 to create the flower then put a large brad in the center. I counted 15 petals. The Teeny Tiny Wishes Stamp Set, item #115370, is PERFECT for this type of design and a perfect fit for the Word Window Punch. 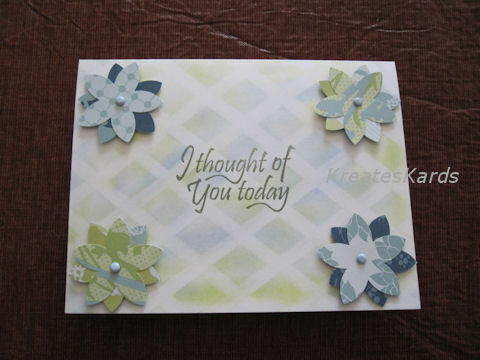 Marijo used the Thank You from this set for her card. Thank you Marijo for letting me post your card. Thank you too to all that attended my classes today. I had such fun and can't wait to see you all again in 2 weeks. Stampin' Up! introduced a brand new paper punch this month that is called Petal Card Extra-Large Double punch. It is item # 119273 for $17.95. This punch needs to be used in the upright position. It does not have a view area on the bottom. Place it flat on the table with card stock in, then press once to cut and then a bit hard to emboss the lines for folds. This punch cuts and embosses .. isn't that GREAT!!! This punch has caused a great deal of discussion among demonstrators and customers alike. It makes a cute little envelope type card that would hold a 1 inch design inside but what else can we do with it. I work with it quite a bit yesterday and came up with some ideas. It helped that I also had the Big Shot BigZ Petal Card Die (now retired) and had done a tutorial for that earlier on my blog. Here's the link to that tutorial ... CLICK HERE I realized that whatever was done with the larger version should be able to be done with this version too. This is a close up of the paper punch. Tiny box made by gluing 2 of the cut-outs together. Side view of the tiny box. It hold 1 creme saver. Here's the miniature version of a 1 inch square box. Decorated with 1 inch designs. Next time will use more adhesive on the designs to have them lay flat. This box will hold 2 lifesavers that are individually wrapped. Antoher view of the 1 inch box I made and decorated all 4 sides. This is the tiny petal card you can make. Put in a 1 inch design or greeting in the base when it is opened up. If you fold two sides, it make a cute heart with an opening. Opening is big enough to hold a quarter. I used a roll of scotch tape for a size comparison to give you a visual on this. Another visual, this time with a quarter on the left bottom of the photo. Looking forward to see what others comes up with. I think it is cute and versatile. I think the boxes and tiny boxes would be hung from a table tree and decorated for different holidays and events. I also heard discussion of taking the envelope and attaching it to the back of the tooth fairy stamped image (Tooth Fairy, wood mount only, item #119216 $7.95) and putting the child's lost tooth in it. Sounded like a great idea, don't you agree! Have a great weekend. Remember you can order 24/7 from my Stampin' Up! website by clicking HERE and then click on Shop Now. New In Colors for Stampin' Up!